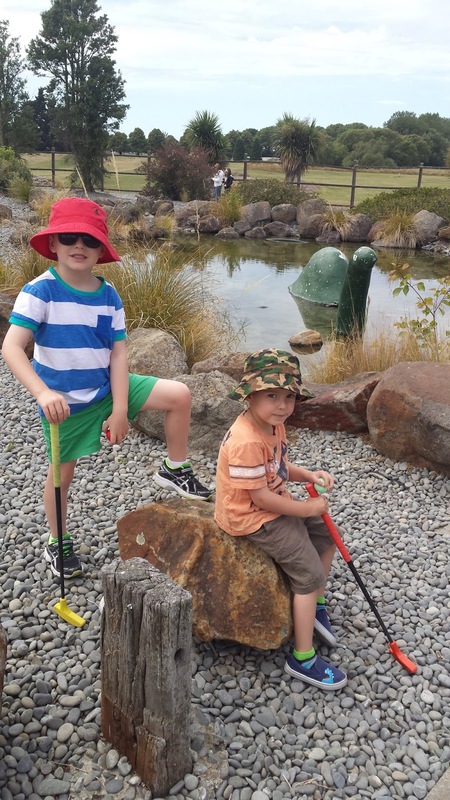 SAHM I am- Stay At Home Mum: Mini Golf- a fun lesson! Life from my point of view as a Stay at Home Mum. Sharing recipes, play ideas, frugal fashion and a bit of crafting too! Mini Golf- a fun lesson! Have you ever taken your children for a round of mini golf? Not only is it great for their hand eye coordination, it also helps then with patience, strategy, numeracy and good sportsmanship. 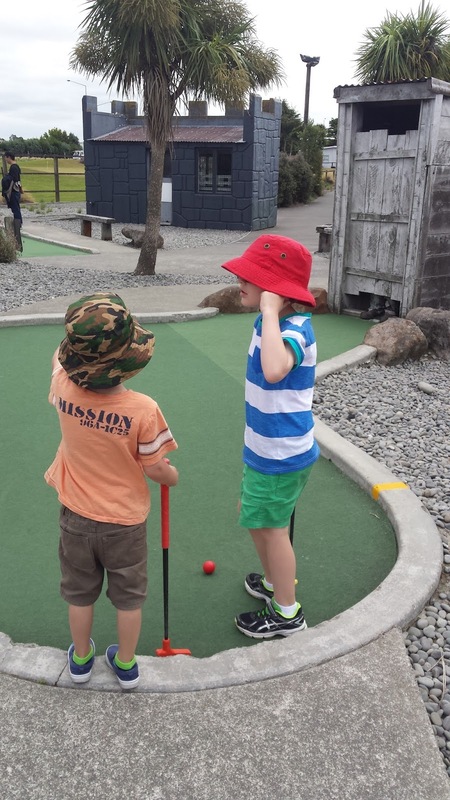 We set off to an outdoor mini golf course, and once the boys had picked their clubs it was time for some instruction on how to hit the golf ball. Patience was needed for both the little and bigger boys! There was a discussion on whether to hit the ball hard, softly to work your way up the course, and of course the tricky obstacles that were in the way didn't help! The boys learnt to work out where the ball needed to go in advance, and time their swings right. We did need a few breaks while other groups were finishing up their turns, and the boys were very patient at waiting and checking out the course scenery. Is that Nessie in the background? Both of my boys were very good at counting each hole as we made our way around the course, and they also had to keep track of how many times they had hit the ball. We talked about some of the golf lingo such as a hole-in-one, par, and putting, and so this was also a chance for the boys to expand their vocabulary. At the end of the round we all had to tally up our final scores, and the boys had big smiles on their faces. 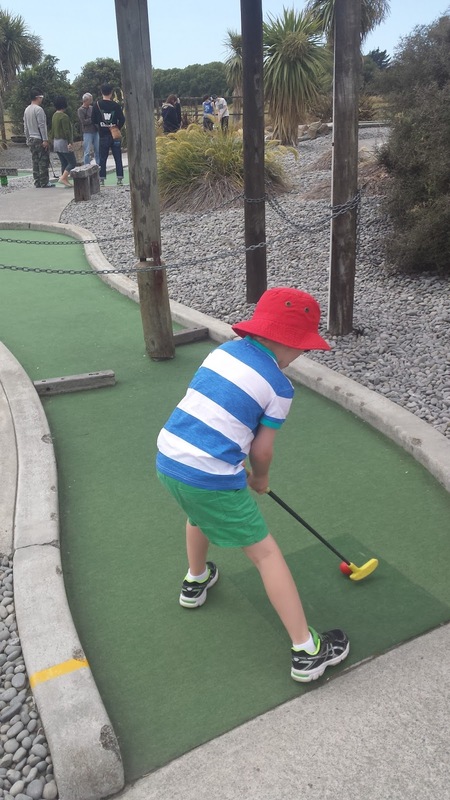 Mini Golf is such a fun way to learn whilst having fun; the boys did an amazing job keeping score and perfecting their aim. If you have young kids, I highly recommend it as a fun family activity, and if the weather is not cooperating you can always find an indoor course. 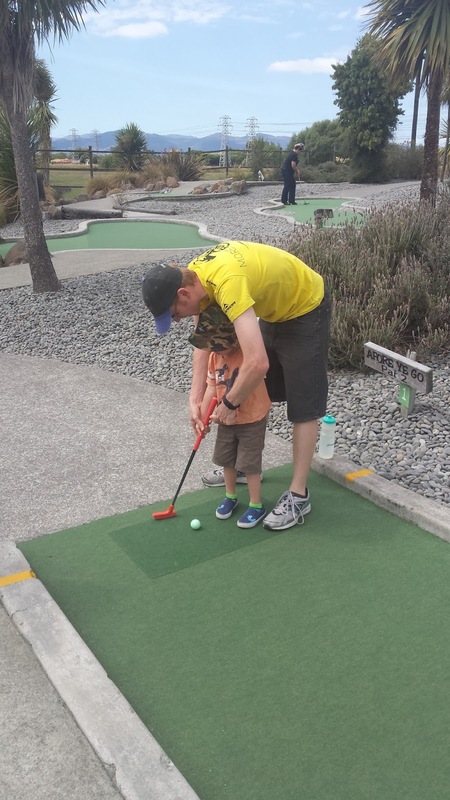 Here is a list of mini golf courses in Christchurch. I am a 30 year old Stay at Home Mum to two boys. I love to cook, scrapbook and cross-stitch. This blog is a place for my crafty creations, my fitness journey and my life as a mother. Safe and Secure- Know Your Street!